One of the best perks to the end of summer is fresh peaches. 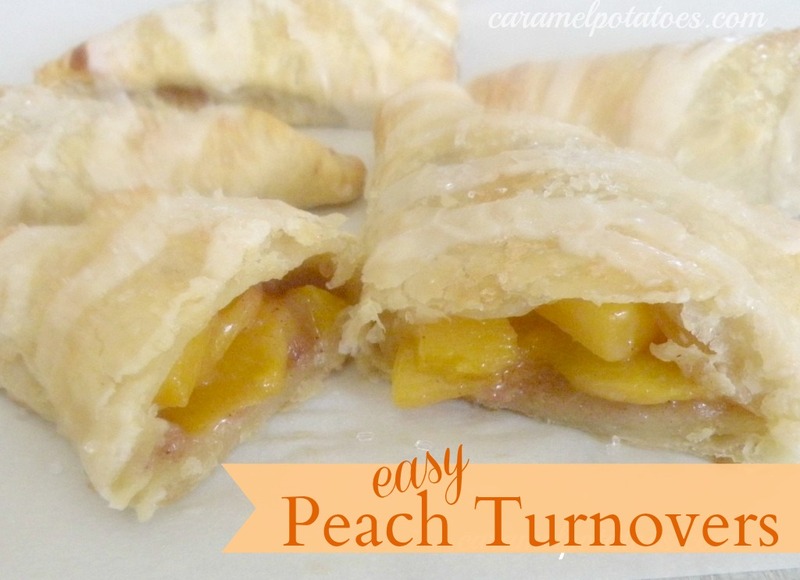 Combine those peaches into a Fresh Peach Turnover and your family and friends will think you are simply amazing! They really don’t have to know how simple it was to make – let them think the best of you. By using a frozen puff pasty sheet you can have this delicious dessert in no time. The recipe makes 4, but since there are two sheets of pastry in the box you might as well double it to make 8 so you can have some leftovers for breakfast! Preheat oven to 400 degrees. Line a large baking sheet with parchment paper; set aside. In a bowl stir together granulated sugar, flour, and cinnamon. Add peaches; toss to coat. Unfold pastry. Cut pastry into 4 squares. Brush edges of squares with milk. Evenly spoon peach mixture onto centers of squares. Fold one corner of a square over filling to opposite corner. Press edges with the tines of a fork to seal. Place turnover on prepared baking sheet. Repeat with remaining dough squares. Prick tops of turnovers several times with a fork. Brush with additional milk and, if desired, sprinkle with coarse sugar. Bake for 15 to 18 minutes or until puffed and golden brown. Cool slightly on baking sheet on a wire rack. Meanwhile, in a small bowl stir together the powdered sugar, butter, vanilla, and salt. Add enough milk to make icing a drizzling consistency. 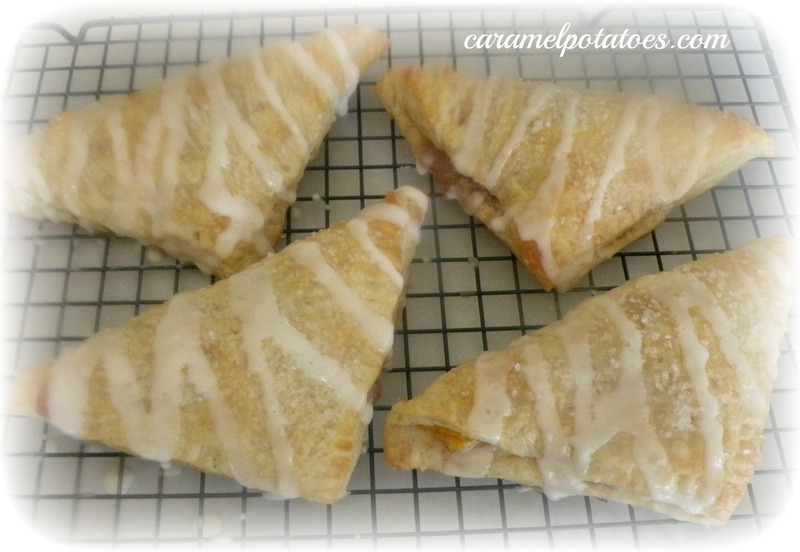 Drizzle over warm turnovers. Note: Pastry Sheet takes about 40 minutes to thaw so plan accordingly. YUM!!!!! 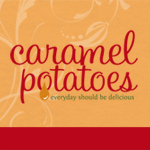 These look so good I am going to have to make them soon!